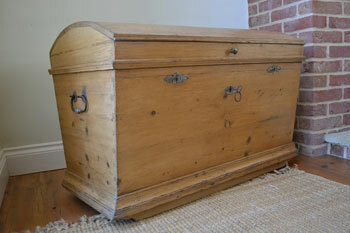 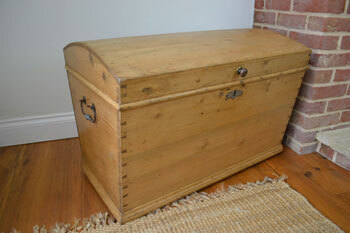 Large original circa 1900 continental stipped antique solid pine dome topped trunk, ideal for bedroom storage, has 3 locks with keys. 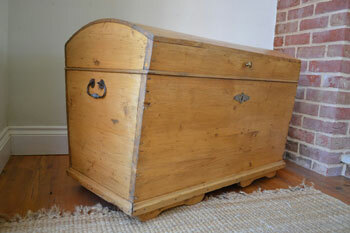 Original circa 1900 continental stipped antique solid pine dome topped trunk, ideal for bedroom storage ..
NEW in Very unusual Eastern European pine dome topped trunk with patterned pressed steel. 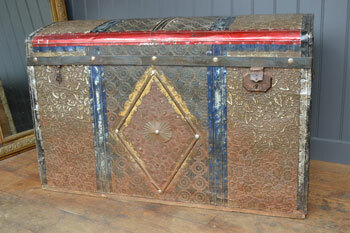 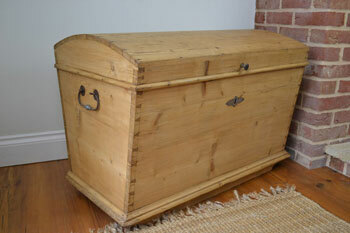 Good rustic pine trunk.